The Global Positioning System was set up in 1978 by the U.S. Defence Department. NAVSTAR (short for Navigation System using Timing And Ranging) is a network of 24 satellites, in orbit, about 12,000 miles above earth's surface. These were originally military satellites but in the 1980's, they were made freely available for civilian use. Initially, the accuracy of the system made available to the public, was restricted. in 2000, President Bill Clinton turned off Selective Availability and allowed everyone access to the full accuracy of which GPS is capable. 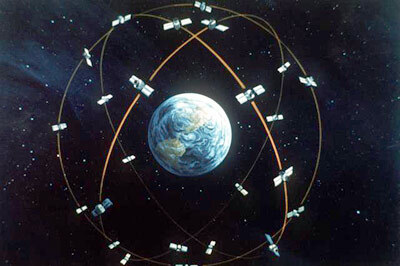 Global Positioning System satellites orbit the earth twice a day, constantly transmitting signals to earth. The receiver compares the time difference between when the signal was transmitted and received. This allows the distance between satellite and receiver to be calculated. With distance measurements from several satellites, the receiver can determine the user's position by triangulation, or more properly, trilateration. A GPS receiver must be receiving the signal from three satellites to calculate latitude and longitude. When signals are being received from four or more satellites, the receiver can determine the user's latitude, longitude and altitude. Once the position has been calculated, other figures such as speed, direction of travel and distances can be calculated. This is the same principle which can be used in GPS cellphone tracking. From its military origins, GPS has evolved and is now used in many different fields, on land, sea and in the air. Satellite navigation as used in vehicles to avoid messing about with maps. 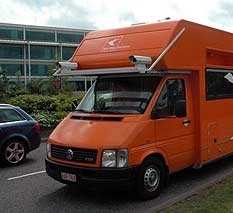 Vehicle tracking systems and GPS fleet tracking include the ability to track a vehicle's location, to increase operating efficiency, to track deliveries, and monitor driving habits. Marine navigation from recreational sailors to commercial vessels such as fishing boats and larger cargo and cruise ships. Aero navigation for both light aircraft and commercial jets. Surveyors. There is some equipment available which can work to an accuracy of one centimetre. Tracking of pets, children and older family members as memory loss and confusion start to creep in. Outdoor pursuits including hiking, mountain biking and cross country skiing. Photography. Cameras are available to record the location of photographs taken. Golf. Hand held equipment is available to show the layout of golf courses and assist with planning your shots. Geocaching is growing in popularity and is basically a GPS assisted type of treasure hunt pastime. Number of visible satellites. Quite simply, the more satellites a receiver can "see", the more accurate the position calculation. The best GPS signal is achieved when the angle formed by the satellites and the receiver is as wide as possible. Interference Buildings, dense vegetation and electronic interference, can all affect reception of the satellite signals. Receivers generally cannot receive a signal when they are in a building or underground (such as in a tunnel). Selective Availability (S.A.). This was an inaccuracy built into the system so that non-US military users were unable to use the maximum system accuracy. After much civilian lobbying, President Bill Clinton ordered that S.A. should be turned off in May 2000. In 2004, President George W. Bush paved the way for GPS Satellites to be temporarily disabled if it was felt necessary to prevent terrorists or other hostile parties from using the system. The Global Positioning System works well in most locations, but there are some more challenging situations. It is possible to lose reception in heavily built up areas. Tall buildings in themselves are not a problem. However if you are driving along a street with closely packed tall buildings on both sides of the street, contact with the satellites may be lost. It takes several seconds to acquire the satellite signals after the system is powered on. If your car is garaged, it may not start to acquire the signal until you have driven out of the garage. It will take longer to acquire the signal when the car is moving than when it is stationary. GPS signals will be lost when you are in an underground tunnel. They will normally be re-acquired when you emerge, before your next turning.